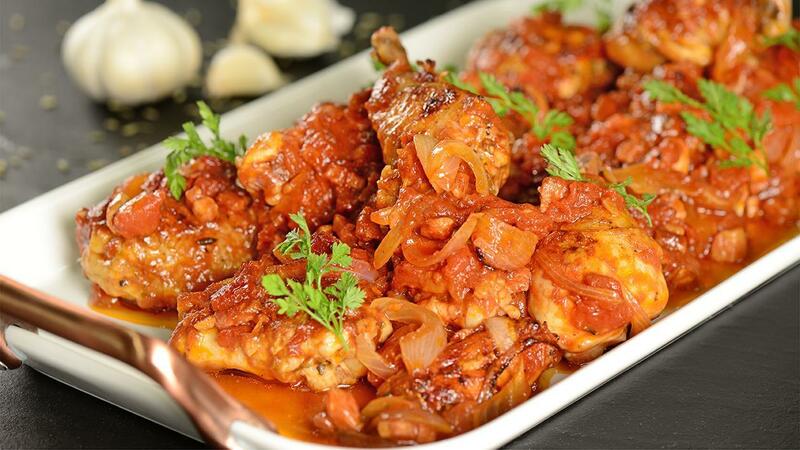 Tuscany is famous for fresh local ingredients which they use to cook home-style dishes like this Chicken Tomato Roast. Fresh herbs and top quality tomatoes are the key. We recommend using Knorr Italian which will cut the cooking time down by 15 minutes as the tomatoes are already cooked before packaging. View the full recipe below. Cut the chicken into 8 pc and marinade with basil pesto and Knorr Chicken Stock Powder for 4-6 hours. Dust the chicken pieces in flour, shaking off excess. Heat halve the olive oil in a fry pan over medium heat and pan seer, in batches, for 2 minutes each side or until golden. Place in a baking dish. Heat remaining olive oil and cook fennel, onion, turkey bacon and garlic, stirring, for 3-4 minutes until soft and golden. Add Knorr Lime Seasoning juice, sugar and vinegar. Simmer for 3-4 minutes until reduced by half. Add Knorr Italian Base, rosemary and parsley. Bring to the boil. Pour over the chicken, cover and cook in a preheated oven until chicken is tender. Serve with salt-less traditional Tuscan bread. To keep the recipe authentic use beef bacon rather than turkey in the recipe.